I feel a whole lot better!! I'm heading out of the house BY MYSELF as soon as Koen falls asleep. Do you know how much you can get done with 2 almost healthy adults in the house? Wowzers. These guys never really interact as I've been keeping them apart. 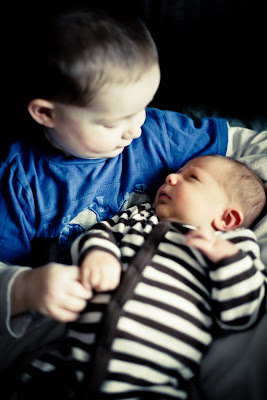 However, now that Koen is sick anyway AND Kai was game for holding him...here we go! If you think Koen is jaundiced, he is. However, they are not concerned due to his huge weight gain...they will check him again on Tuesday to make sure he gained more weight. 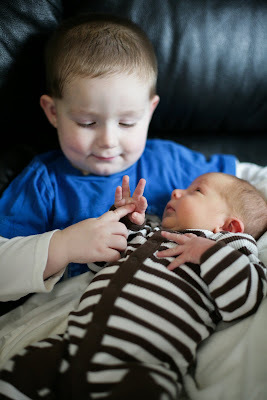 These guys are going to be great buddies, I know it! i was gonna write...he is very jaundiced! You are a super healer! I'm so glad you are feeling so much better, whoohoo!! I love the photos of the boys together. 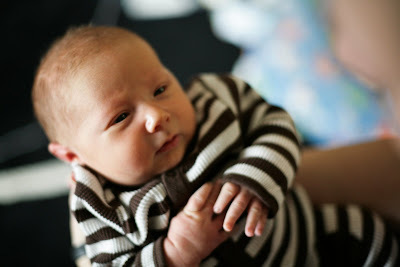 I think Koen looks so much like Kai! He is adorable. 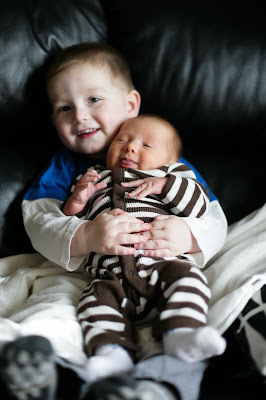 I love the photo of Kai hugging smiling Koen, and the last one too. Praying the entire household is well in record time. He is cute. Missed him lately - since everyone will be better soon we can come by and say hi again soon. I said to annika today...what is your baby cousins name...she said : "Koen...he is sooo cute"
Glad you guys are feeling better.